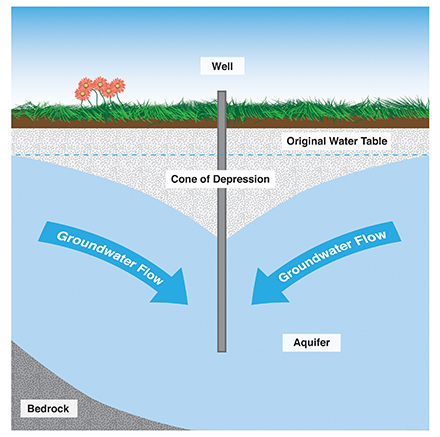 Starting this Monday, July 7, 2014, Wisconsin residents can no longer challenge state Department of Natural Resources permits for a high-capacity well if state officials failed to look at what the well might do to overall groundwater in the area, according to a Wisconsin Public Radio report by Chuck Quirmbach, July 1, 2014. Wisconsin lawmakers and Gov. Scott Walker got rid of the cumulative impacts challenge when they passed the state budget a year ago. The new language covering the hi-cap wells — often used by water-intensive industries — takes effect on Tuesday. This change comes much to the dismay of Amber Meyer Smith of the group Clean Wisconsin. DNR officials can still look at the cumulative impact on all the wells in an area, but if the agency doesn’t do so, challenges to the permit are now limited. A spokesperson for Assembly Speaker Robin Vos didn’t respond to a request for comment, but has told other media that the new legal language protects the DNR by taking the judicial branch out of the permitting process. Some environmentalists haven’t ruled out taking the new limits to court.